The essence of the removal of the tooth is to separate it from the alveolodental ligament and to pull the tooth out of the tooth - socket. It is sometimes necessary to apply stitches. The use of anesthetics, dentist's medical skills and cooperation of the patient allow the proper execution of the surgery and prevent the occurrence of complications. Extraction of a tooth is the extreme and every effort should be made to prevent this from happening. Using the latest advances in endodontics we are able to save a lot of teeth which had poor prognoses. This type of extraction is reserved especially for remaining teeth roots and unerupted teeth. Unerupted tooth is the tooth which despite of finished development remains unerupted (can be totally or partially invisible in patient's mouth). This problem relates most commonly to the wisdom teeth. Surgical removing of the tooth is more complicated than a simple tooth removal and requires more time than simple extraction. In the end of the surgery the wounds are dressed with the stitches which speeds proper healing process up. Graduated as a dentist from the Faculty of Dentistry, Jagiellonian University in Krakow in 2003. Obligatory postgraduate training at the University Dentistry Clinic in Krakow. Since 2006 assistant at the Dental Surgery Clinic at Collegium Medicum Jagiellonian University in Krakow. Has taken part in many conferences and trainings in the field of periodontology, implantology and general dentistry. He has obtained MD PhD degree in 2012. He is a certified specialist in dental surgery. Doctor Namyslowski graduated as a dentist from the Faculty of Dentistry, Silesian Medical Academy, Zabrze. From 1999 to 2003 postgraduate training at Prostetics Facility of Silesian Medical Academy. Had worked as an assistant at Cathedral and Facility of Temporomandibular Disorders at Silesian Medical Academy (ŚLAM). In the meantime, in 2002, he received a title of a doctor of medicine (MD PhD). 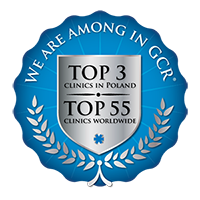 Doctor Namyslowski has taken part in many courses and dentistry confrences in Poland and abroad. He is a member of Duchlan Gesellschaft fur Orale Implantologie (DGOI), International Congress of Oral Implantology (ICOI), Ankylos Scientific Group, Polish Association of Dental Implantology (OSIS), European Association of Dental Implantology (EDI), Polish Association of Temporomandibular Disorders , Polish Implantological Association (PSI). 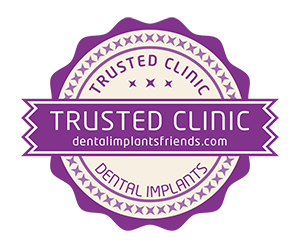 Doctor Pawel Namyslowski specializes in dental surgery, implantology and implantoprosthetics.